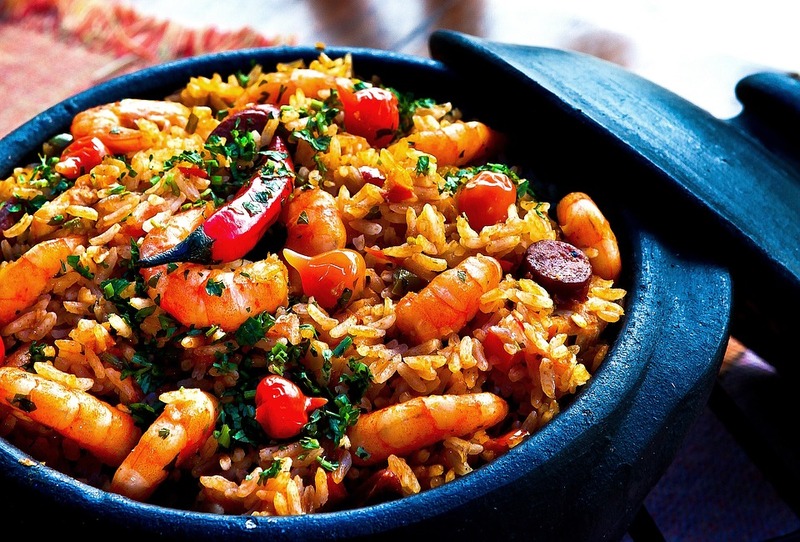 Rice is loved all over the world and Australia is no exception; from scrumptious sushi to perfect paella we’ve embraced every righteous rice dish that comes our way. Our obsession with rice isn’t going anywhere, but unfortunately, our waistlines are, and too much white rice isn’t helping. So, what can Australia’s national science agency do to help keep our food tasty and our bodies healthy? Team up with the Chinese Academy of Sciences to make a super-healthy rice of course! Before we chow down on our tasty innovation, let’s have a quick recap on the difference between some rice varieties. You’ve probably heard of brown rice and white rice, but did you know they’re from the same grain? White rice starts out as brown rice but then the grain is ‘polished’ of the outside layers: the husk, bran and germ. It makes it quicker to cook but it also gets stripped of most of the nutrients and fibre, making it a lot less healthy. Thankfully, the demand for healthier varieties of rice has been on the rise in recent years, and that’s where our innovation comes in. We’ve identified a variety of rice that has an outer layer (called the aleurone) that is four to twelve times thicker than usual rice. By studying this variety, we’ve uncovered the gene responsible for the tiny change that makes this dramatic shift happen in grain development. This breakthrough means it may be possible to get all the nutritional value and gut health promoting fibre of wholegrain rice from varieties we prefer to eat. And if a healthier version of brown rice doesn’t appeal to you, the thick aleurone grain means food processors have more options to lightly polish and retain some of the many healthy properties of the rice while approaching the taste and texture of white rice. The new and improved grain can also be turned into a delicious wholegrain rice flour, making the base of so many meals extra nutritious. This new innovation has been successfully tested by breeders in China in red and black-grained rice varieties which are increasingly popular as wholegrain foods in China. The new varieties are being grown with little or no effect on growth and yield of the rice, so it’s a win for farmers and a win for consumers. With our newfound understanding of the gene that makes more of the healthy outer layer, we’re teaming up with the Chinese Academy of Sciences and the Chinese Academy of Agricultural Sciences to see if we can use that knowledge to create healthier wheat, barley and sorghum. We’re also working with our friends at the University of Melbourne to further increase the nutritional content of our rice-based culinary creations. What will the future bring for our food? Thanks Ellen, I’m a bit thick on these nutritional matters, I just go for the least processed foods. I love the nutty flavour of brown rice, especially in kedgeree, traditionally cooked with white rice, so I am looking forward to getting the extra health kick from a good feed of your new fancy brown. Last questions: how does the quality of the soil it is grown in affect the nutrient values in your analysis; and does your analysis include all the mysterious “phyto-nutrients” that everyone from Sir Albert Howard, Masanobu Fukuota etc proclaim to exist (without applying the concocted “phyto nutrient” label, until Charles Massy recently gave “scientific” explanations. Will industrial agriculture rice give us the full feed? Many of us agree with you about the preferable taste and texture of brown rice! The quality of soil always has some effect on the quality of grain product. However any good productive system, conventional or organic, produces grain with similar nutritive value. This includes the so-called micronutrients such as vitamins, anti-oxidants and minerals. The term phytonutrients is very broad and includes in particular polyphenolic chemicals such as carotenoids, flavonoids, tocopherols, phytoestrogens and thousands of others. The thick aleurone rice has increased amounts of these compared to normal brown rice.